Kerosene is a type of fuel oil used for lighting, heating and cooking. Like many fuel oils, it is derived from crude oil. Kerosene is a liquid at room temperature, but it can evaporate; therefore, people can be exposed to kerosene by getting it on their skin or by inhaling the fumes. Direct exposure to the kerosene or a byproduct of burning the kerosene, such as carbon monoxide, can produce negative health effects. According to the Agency for Toxic Substances and Disease Registry (ATSDR), people who regularly use kerosene heaters do not have more respiratory diseases than the general population. However, inhaling kerosene might cause a short-term change in the way you smell or taste things. Also, inhaling kerosene fumes might cause some people to become dizzy or nauseated. Breathing the fumes long-term could result in neurological or kidney damage, including blood clots that damage the brain, heart or other organs. These symptoms caused by kerosene heaters most often appear in children who have tried to drink the kerosene, according to the ATSDR. Symptoms of kerosene poisoning include vomiting, diarrhea, stomach cramps or swelling in the stomach, coughing, restlessness, and drowsiness or unconsciousness. Because children might try to drink kerosene from cans or tanks as well as from the heater, keep all kerosene containers out of a child's reach, and teach him never to touch the heater, even if it is not on. To avoid these, the Consumer Product Safety Commission recommends using all protective equipment that comes with a kerosene heater, including any grills or covers designed to protect people from coming into contact with hot elements. 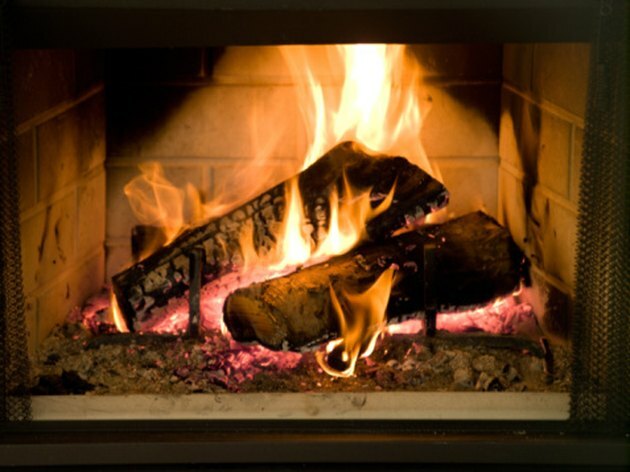 To reduce the risk of fire, always fill the kerosene heater outdoors, and do not leave the heater running unattended. If burns occur, run cool—not cold—water over the effected area, and call your physician or local emergency services immediately. According to the U.S. Environmental Protection Agency, carbon monoxide poisoning is more common among kerosene heater users than poisoning from breathing the fumes. Carbon monoxide (CO) poisoning's first symptoms include fatigue and possibly chest pain, followed by dizziness, nausea, confusion and lack of coordination. Carbon monoxide poisoning can be fatal. If anyone in your house starts feeling unwell while the kerosene heater is being used, turn off the heater and move everyone in the house to a location with plenty of fresh air—outdoors if possible.